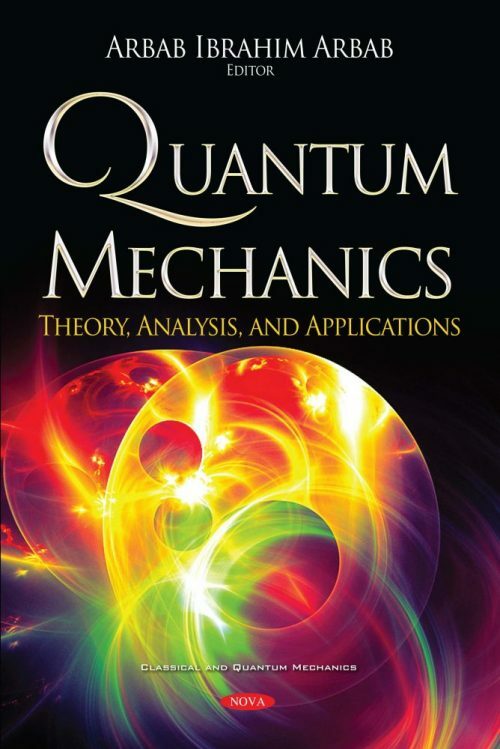 This book is a collection of pioneering research that deals with quantum mechanics from the novel point of view, ranging from theoretical to applications. Quantum mechanics and its application is one of the very progressive fields that is currently governing our technology in industry and science. It has been a long time since Schrodinger, Born, Dirac, Klein-Gordon, Schwinger, Feynman, etc. had laid the foundations of quantum mechanics. There were recently some interesting theories that are not widely known that could shape our future of quantum mechanics and its application. A new understanding is brought that deserves to be promoted worldwide. 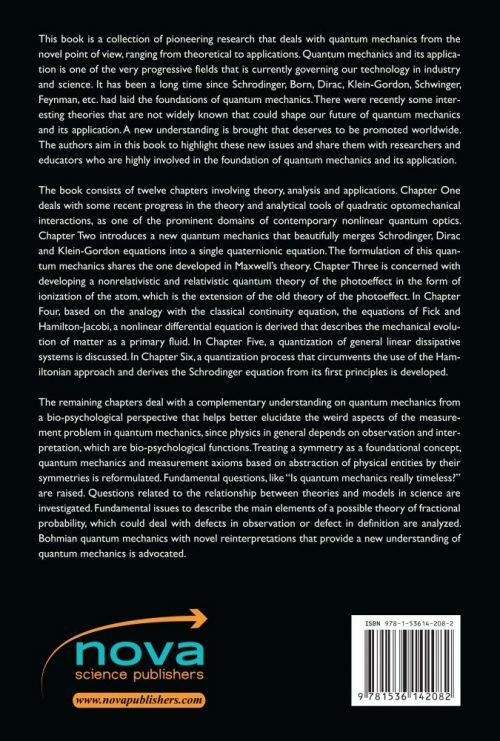 The authors aim in this book to highlight these new issues and share them with researchers and educators who are highly involved in the foundation of quantum mechanics and its application. The book consists of twelve chapters involving theory, analysis and applications. Chapter One deals with some recent progress in the theory and analytical tools of quadratic optomechanical interactions, as one of the prominent domains of contemporary nonlinear quantum optics. Chapter Two introduces a new quantum mechanics that beautifully merges Schrodinger, Dirac and Klein-Gordon equations into a single quaternionic equation. The formulation of this quantum mechanics shares the one developed in Maxwell’s theory. Chapter Three is concerned with developing a nonrelativistic and relativistic quantum theory of the photoeffect in the form of ionization of the atom, which is the extension of the old theory of the photoeffect. In Chapter Four, based on the analogy with the classical continuity equation, the equations of Fick and Hamilton-Jacobi, a nonlinear differential equation is derived that describes the mechanical evolution of matter as a primary fluid. In Chapter Five, a quantization of general linear dissipative systems is discussed. In Chapter Six, a quantization process that circumvents the use of the Hamiltonian approach and derives the Schrodinger equation from its first principles is developed. The remaining chapters deal with a complementary understanding on quantum mechanics from a bio-psychological perspective that helps better elucidate the weird aspects of the measurement problem in quantum mechanics, since physics in general depends on observation and interpretation, which are bio-psychological functions. Treating a symmetry as a foundational concept, quantum mechanics and measurement axioms based on abstraction of physical entities by their symmetries is reformulated. Fundamental questions, like “Is quantum mechanics really timeless?” are raised. Questions related to the relationship between theories and models in science are investigated. Fundamental issues to describe the main elements of a possible theory of fractional probability, which could deal with defects in observation or defect in definition are analyzed. Bohmian quantum mechanics with novel reinterpretations that provide a new understanding of quantum mechanics is advocated. Chapter 7. Is Quantum Mechanics Really Timeless?